I have edited the OP with the relevant information. For Reference, Thorpocalypse had a bunch of fantasy race templates and stuff for the game they put together on this board. Might be worth a look. What a frickin lame-o, am I right? Camus, Is this like what you're looking for? Mot is the village ratcatcher. Though, Mot considers Motself more of a rat "convincer". Oh, Mot still crawls under the houses and into dark cellars and compost piles by vegetable gardens and in all the grimy places that Big Folks don't want to. Mot still sets out traps and baits but mostly Mot just talks to them and asks them to go elsewhere, usually to a shack or cottage or house on the other side of the town - Mot's future customers! Lately Mot's branched out into other pests - squirrels and other woodland rodentia, bugs (where Mot brings in rats that are 'told' to eat only the unwated bugs and leave foods alone), and anything else Mot can help with in barter for food or sundries. Actually, Mot's good with all animals (ironic since most of them are mammals and Mot's a cold-blooded reptile), but Mot only is truly 'understood' by, and more miraculously, understands rats. And the things they tell Mot! Mot knows what Folk are engaged in the strange mating habits Big Folk use with what other Big Folk, especially the ones who are hiding it from their current Big Folk mates. It's always confusing to Mot. It'd be simpler, Mot's decided, if Big Folk would lay eggs, like Mot must've been from! At least, Mot assumes Mot was hatched from an egg. No one is really sure. Mot was found as a toddler by a trapper in Umbrasol forest. The Trapper, Granton, being a half-orc, knew what it was like to be ousted and shunned and taught Mot what he knew of trapping and Animal Lore but Mot's small form, though growing quickly, was never really suited for the Forrester's life. Mot made the move into the 'big city' of Solmir to Make Mot's Way in life. Mot apparently needs more training in Way Making though. 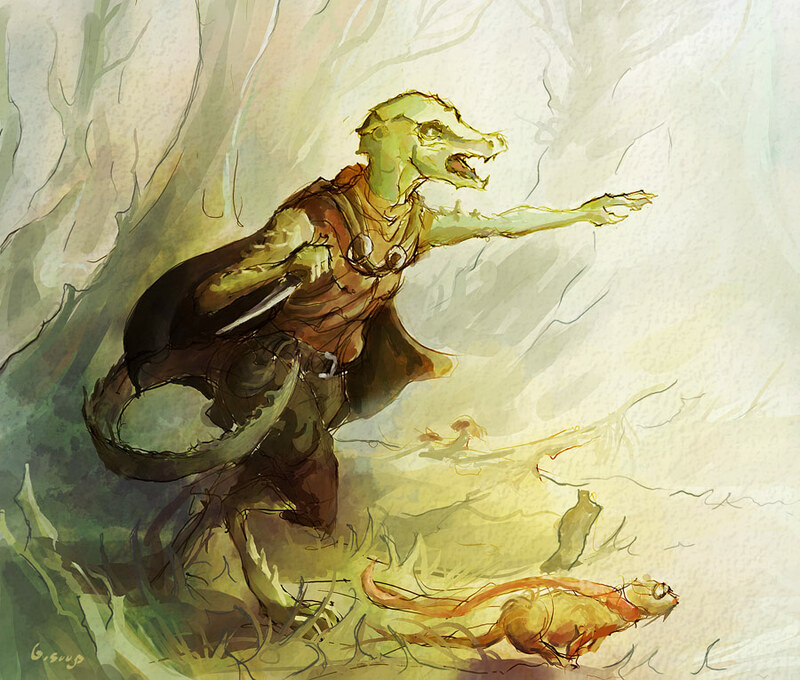 Dragon Kin (Kinda…): Kobolds believe they are distant cousins of dragons (which most dragons dispute) and are instinctively drawn to serve and even worship them. Weakness: Being cold-blooded creatures, they do not deal well with cold temperatures and take an extra degree of failure against cold based effects. Sunlight Sensitivity: Kobolds prefer dark places. If in the open, in bright sunlight the GM can assess a penalty. 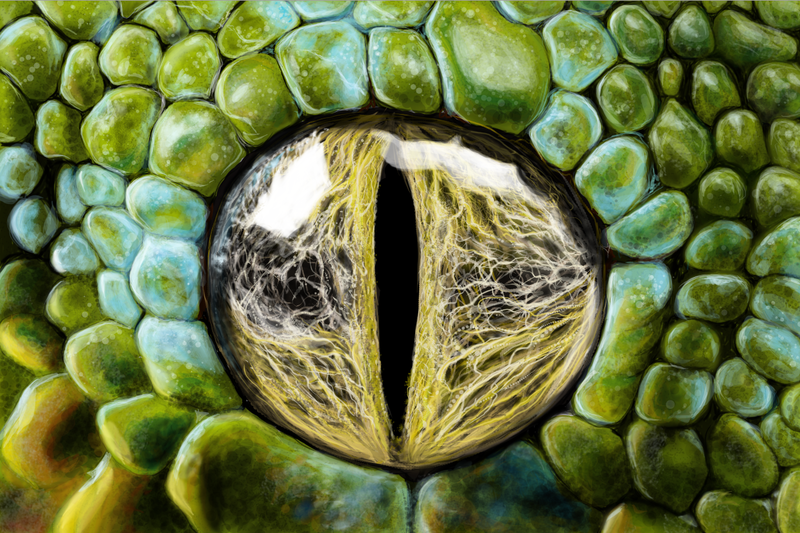 Unattractive: People tend to find the reptilian features of Kobolds off-putting. Cowardly: Mot will be hesitant to stay in an actively hostile situation. As any sane person should be. Loyal: When Mot makes a friend (a rare occurrence for the skittish Kobold) Mot will remain true to them. Mot a good friend. Unknown past: Mot doesn't know how Mot came to be in the Forest or if Mot has family or where. Is sad. Eyes: Dull grey/gold, Vertically slitted. *Poison Coating takes a move to activate (pull out poison) then a standard to apply to a weapon (carefully coat weapon), then after that the next hit with that weapon that damages opponent forces opponent to make a DC14 Fort check or suffer conditions. 5 uses before have to spend an hour replenishing stock. Last edited by Flynnarrel on Tue Feb 26, 2019 8:10 pm, edited 5 times in total. Great character, I already love Mot. A very good example of what I have in mind, he is flavourful, entertaining, has a defined niche and a lot of potential. Thanks. How many characters are you looking for? I dont think numbers are a limit in this case. So far you 4 have expressed interest, I could accomodate another couple more. 6 is a good number. Is everyone ok with some mild horror thingies? I assumed the grimy concept was already revealing enough, but just wanted to be sure. Any one else working on their pcs? If you have any questions feel free to ask. I'm considering a blacksmith apprentice but I haven't gotten much further than that. I know normal such things like a prestige class is higher-level, but the flexibility of M&M allows for all sorts of things. I've been working on the idea of an elven shadow-dancer, though I need to work out how to make one of the abilities only 1 point. Are we buying equipment with PP or with money? I'm hoping Fido doesn't break power limits. Normal "familiars" seem to be legal. Height: 6' 3"	Weight: 225 lb. Yarl has worked in Solmir for years apprenticing under Junil Bloodworth, his mother. He should have left years ago to be a journeyman but he still thinks he needs to watch his widowed mother. His father was an ogre of a man (6'9") but Yarl is merely a tall human. In addition to his mother, Yarl is friends with a mysterious alchemist who lives in town. Shordin runs the local apothecary and has been teaching Yarl about runic magic. His mother doesn't like Shordin and doesn't understand why Yarl wants to get involved with magic. She barely tolerates Fido. Thanks to Shordin's tutelage, Yarl has also learned the arts of fine smithing (aka silversmithing). He can create jewelry and clockwork devices thanks to this. Technology skill is there for repair. Runic Magic allows Yarl to put etch runes into his smithworks giving them magic, via ritualist. But his rituals aren't lighting candles and drawing circles (although he can do wards). The bulk of his rituals is using small chisels to etch runes into metal. Very time consuming. He has an excellent eye for detail (investigation). Relationship: Junil Bloodworth: Yarl's mother is a master blacksmith. Her husband died when Yarl was young. She has a great head for business and has turned a small village blacksmithy into a thriving business. Relationship: Shordin: Shordin the apothecary is training Yarl in Runic magic. Yarl hopes to smith magic weapons and armor some day. Responsibility: Maintaining the town's smith needs. Height: 3' 2" (at the shoulder)	Weight: 200 lb. Fido is a mechanical golem in the shape of a German Shepherd. Colorblind: Fido sees in limited greyscale. Mechanical and Magical Device: Fido is a magically powered machine. He seems to operate as a wind-up device but he does not need winding. He is incapacitated by anything that dispels magic. Quirk: Fido is a dog. Or at least he thinks he is. He sometimes acts up unless he gets a "treat". Yarl carries around nails and bolts to toss Fido when this happens. The Bloodworth Smithy has been in business for four generations. Yarl loves to tinker. He has added tripwire sensors to the doors and window that cause a loud noise (The Security System) if someone enters with disarming them first. Last edited by jmucchiello on Wed Mar 06, 2019 8:58 pm, edited 7 times in total. I like Yarl, he seems pretty solid, I thought he was a dwarf until I read the background heh. Also, perhaps you could scrap inventor and ritualist and only have artificer, which could be more in the lines of what you describe of him. Other than that the golem is cool, no problem with that. Without Immunity to Fortitude Saves Fido can be poisoned and diseased, can be choked, ages, and sleeps, suffers fatigue, gets cold, etc. Is that the intention? Hmmm true. Perhaps he could remove sta, awe, int and pre to get the points.